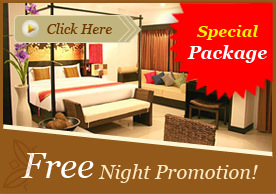 Benyada Lodge is situated in secluded environment where ocean view and privacy are promised. 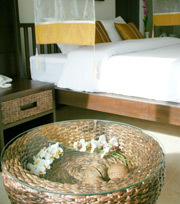 Styled in Thai contemporary architecture, all rooms and facilities offer comfort of a luxurious resort and tranquility of a hideaway purlieu. 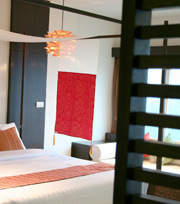 The Benyada Lodge is the premier oceanfront hotel on Surin Beach, offers contemporary modern accommodation. 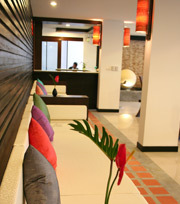 Decorated in earth tone green colors with contemporary furniture.